A day after the controversial audio clip of a woman professor 'luring' four girl students into granting sexual favours to a “higher level officer” went viral, the politics behind the issue has started playing out. While there are reports that the issue could be covered up, enquiries have been ordered by the governor and the state government into the case. Even as professor Nirmala Devi was arrested from her residence at Aruppukottai after a five-hour drama of her locking the door from the inside, academicians and politicians wonder if she is merely the tip of the iceberg as there are questions on 'who is behind her' and 'if she is just a tool'. Nonetheless, the issue brought to light the friction between the governor and the state government, and the perverted mindset of the officials of higher education department in the state. The state government had ordered a probe by CBCID, the highest investigating agency of the state, only a day after the governor’s office appointed a one-man committee, headed by retired IAS officer R. Santhanam to probe into the issue. 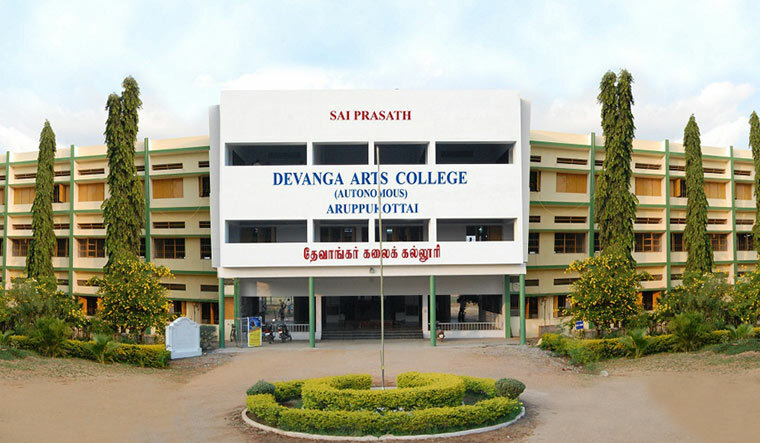 Meanwhile, the enquiry committee appointed by Madurai Kamaraj University (MKU), to which the Devanga Arts College in Aruppukottai at Virudhunagar district is affiliated to, has been withdrawn. The probe was withdrawn after MKU Vice Chancellor P.P. Chelladurai met with Governor Banwarilal Purohit at Raj Bhavan on Tuesday morning. Tamil Nadu DGP T.K. Rajendran has ordered a CBCID probe in the issue. The enquiry, according to a press note from Tamil Nadu government’s Department of Information and Public Relations, has been transferred to the CBCID, under section 511 of IPC Act, and section 67 of Information Technology Act. Meanwhile, surprisingly, the governor has called for a press conference this evening to throw more light into the Nirmala Devi audio clip, and to clarify on the controversies surrounding Raj Bhavan in the issue. In every such issue, the spirit of the law is that the governor, being the chancellor of all the universities, will initiate action, after taking advise from the council of ministers. However, in this case, the state government wasn't taken into confidence before the governor appointed a one-man committee to probe into the case. One thing to be noted is how fast the Raj Bhavan decided to act and set up a probe panel. It may be recalled that within two hours of the issue being reported, an enquiry committee was formed by the governor's office. It may be noted that such expeditious action wasn't seen when there were media reports of Governor Purohit, while reviewing the implementation of the Swacch Bharat scheme, got into an occupied bathroom in Cuddalore. The governor's office refuted the allegations, and a press note was issued, calling the media reports “mischievous and scurrilous.” There were also media reports of a home ministry probe ordered against the governor of a south Indian state, on allegations of sexual charges. However, these media reports, combined with the state government’s action of transferring the case to CBCID, despite a committee appointed by the governor himself, has brought to light the frictions between the Edappadi K. Palaniswami-led state government and Banwarilal Purohit. Sources say the audio, which was actually recorded by the students on March 19, was purposely leaked to fix the top man at Raj Bhavan. Sources also say the students had actually filed the complaint with the college management in March itself, immediately after the incident.